Soraa, the world leader in GaN on GaN™ LED technology, announced that its LED lamps have been installed at the Pitt Rivers Museum at the University of Oxford in Oxford, England. The museum chose Soraa’s LED lamps to save energy and money and to illuminate its rare collections of anthropology and archaeology artifacts. 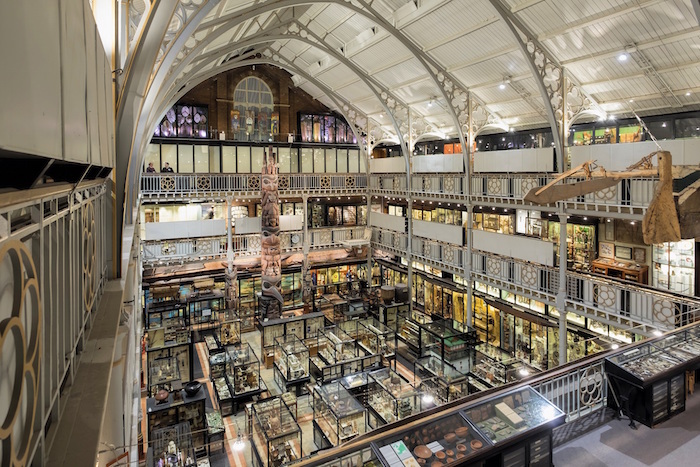 Active in its commitment to reducing carbon emissions, the University of Oxford’s electrical team selected the Pitt Rivers Museum as a prime space for an energy efficient lighting upgrade. The University installed 500 Soraa VIVID MR16 LED lamps that are estimated to save the museum £45,000 over the next 5 years and will reduce its carbon emissions by 44 tonnes each year. Now the more than 400,000 people who visit the museum annually can get a glimpse of the past illuminated by lighting that is doing its part to save the future. In addition, not only does the new LED lighting make the museum more energy efficient and the displays easier to see, they also emit no harmful ultra-violet light, protecting the artifacts from UV light damage. Soraa worked with their UK partners, 4D Lighting, to supply the lamps to the Pitt Rivers Museum. While increased efficiency was a desired outcome, more importantly the artifacts and exhibits needed to be flawlessly illuminated and rendered. The lighting designers for the museum chose Soraa’s lamps with Violet-Emission 3-Phosphor (VP₃) technology to showcase the space’s industrial design and to illuminate the colours and whiteness of the relics on display. Utilising every colour in the rainbow, especially deep red emission, Soraa’s lamps render warm tones beautifully and accurately, and achieve a colour-rendering index (CRI) of 95 and deep red (R9) rendering of 95. And unlike blue-based white LEDs without any violet emission, the company’s lamps have violet emissions to properly excite fluorescing brightening agents, including natural objects like human eyes and teeth, as well as manufactured white materials, such as textiles and paper.